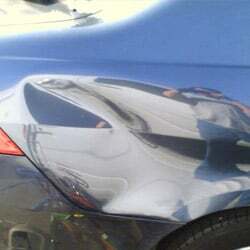 Paintless dent repair professionally removes hail damage, door dings, minor dents and creases without the use of body fillers and repainting. Within minutes, your dents can be removed without disturbing your factory or custom paint. This is a fast, cost effective way to preserve the value of your car.